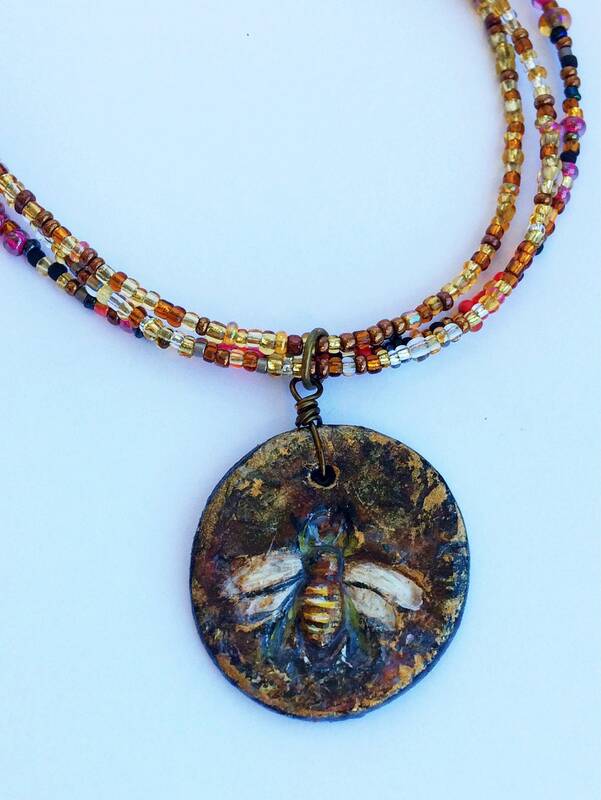 A unique and unusual necklace featuring a handmade and hand painted bee pendant. 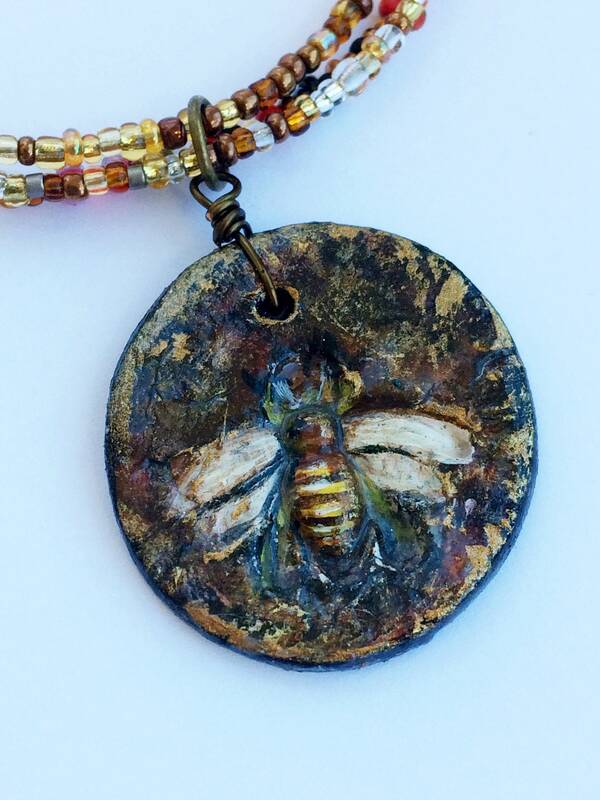 The pendant is made of air-dry clay and thrice varnished for protection (please see care notes in my shop FAQ). 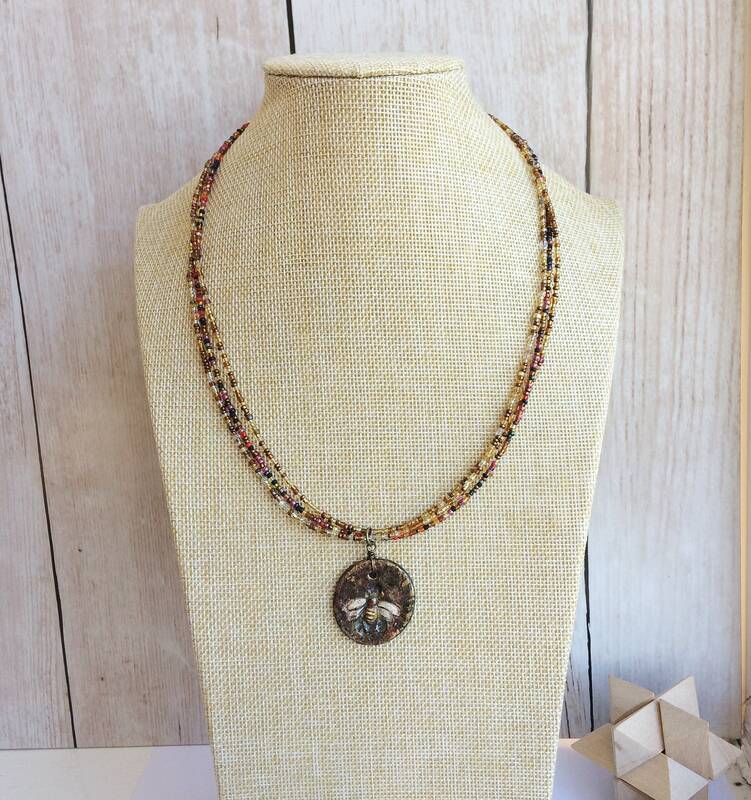 I chose a natural rustic palette of brown, gold and mauve. 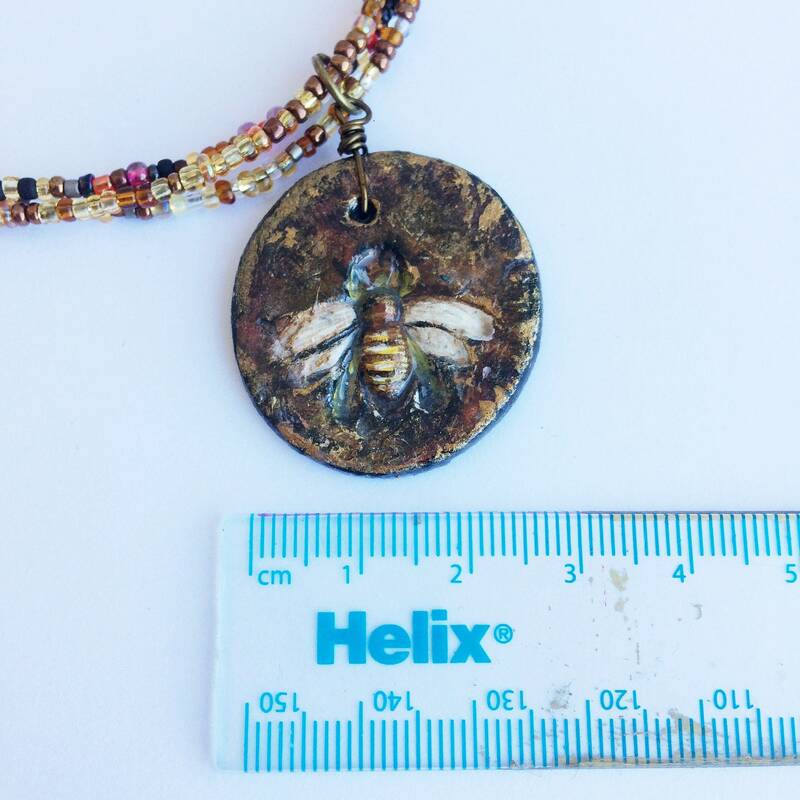 The pendant measures 28mm wide and 35mm long. 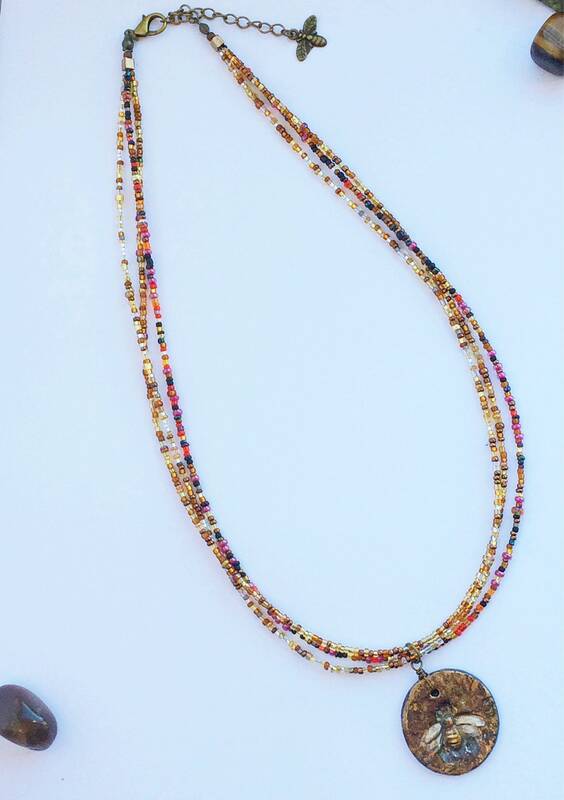 The necklace has an extender chain meaning the fit is adjustable from 46 to 51cm. 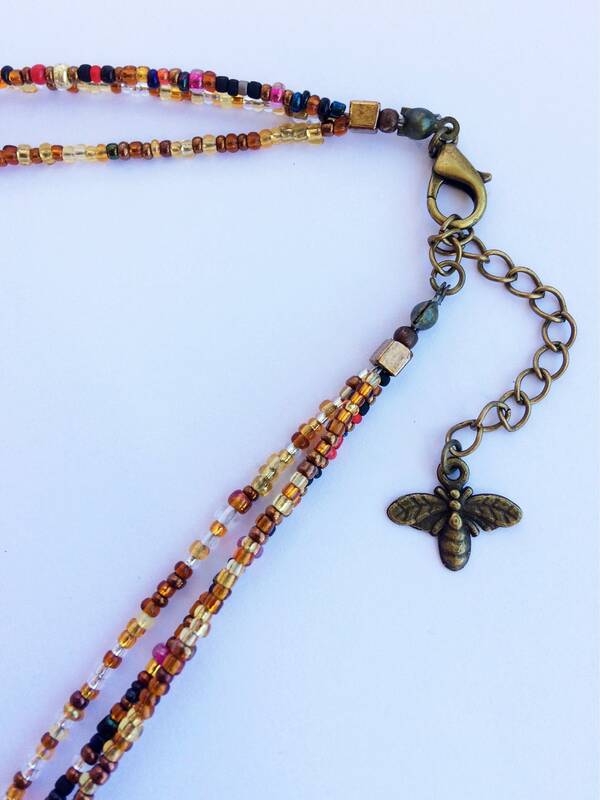 The copper extender chain has a small bee charm. 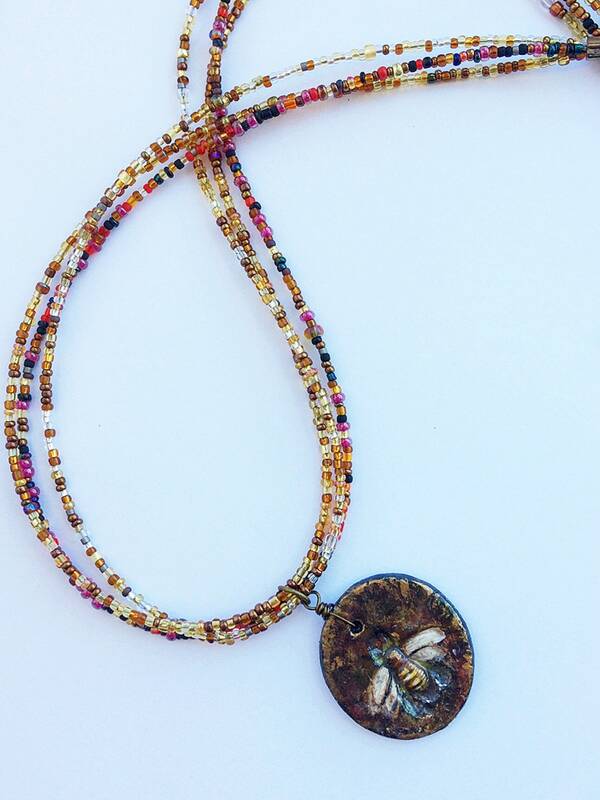 The bee pendant is strung on 3 strands of glass seed beads. These pull colours from the pendant and are a visually harmonious mix of texture, finish and size. 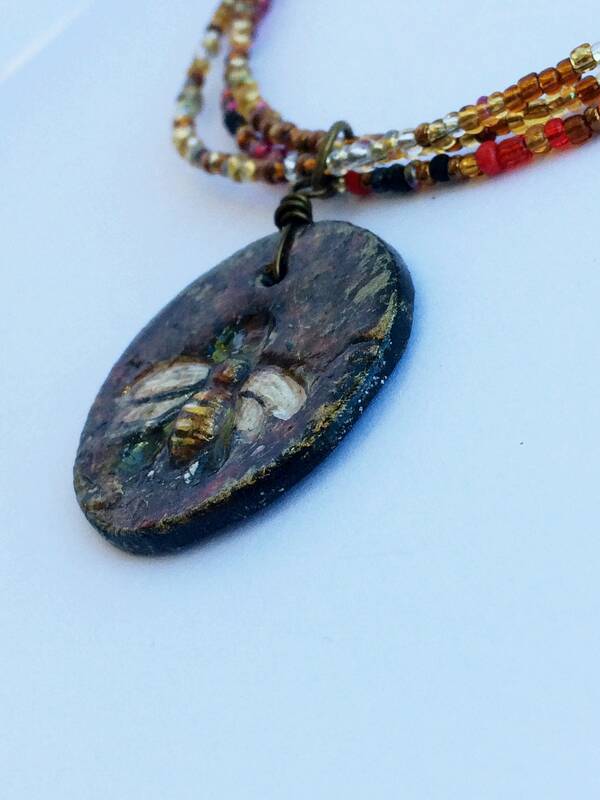 This is a one-of-a-kind artisan piece. 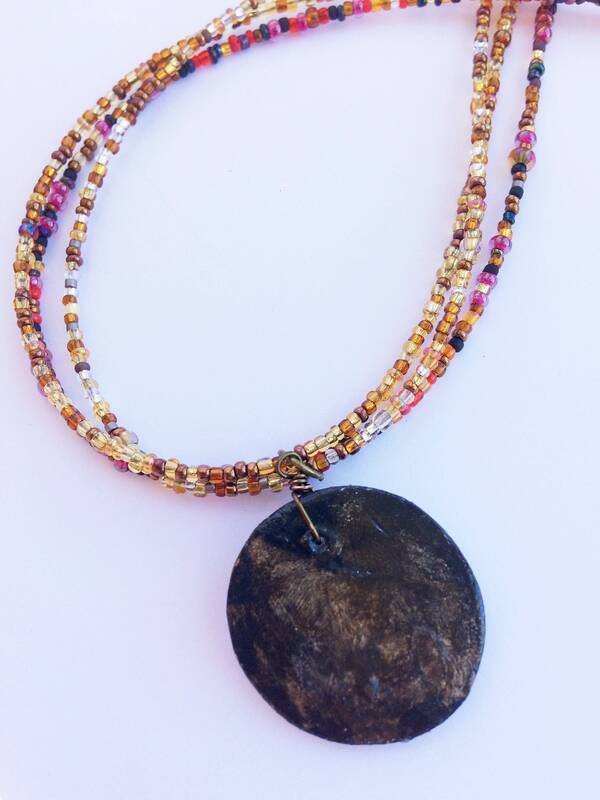 I did make a similar one but on a plain bronze chain. 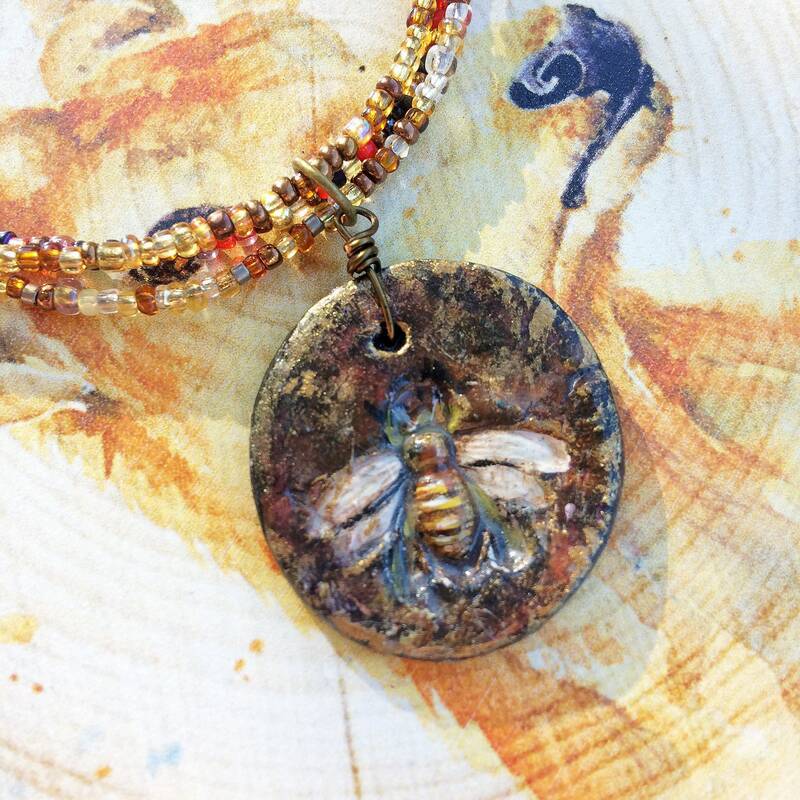 So if like me you love bees, have a look at my shop page as I just went on a jewellery making BEE-Nanza (sorry).